After months of diplomatic negotiations at the United Nations had produced no results, and France, the Russian Federation, and China (all permanent members of the UN Security Council) refused to support a UN mandate, the US and Britain proceeded without the approval of the Security Council. The US government was driven by a hardnosed desire to defend American interests by moulding the status quo in this economically and strategically important region to the advantage of the US and its allies, first of all Israel. 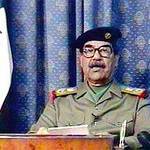 Its policy was presented to an American audience and to the world at large as an effort to replace an important Middle East dictatorship with a democratic political order. 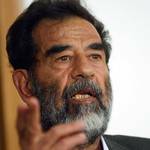 The official arguments to convince the outside world, both in Washington and abroad, were found in Saddam Hussein’s alleged development of WMD (weapons of mass destruction, i.e., nuclear, chemical, and biochemical) and his supposed links with, or even support for, the al-Qaeda network. Both of these arguments in favour of a war in Iraq were pushed eloquently by neo-conservatives, but it soon turned out that they were not based upon facts. 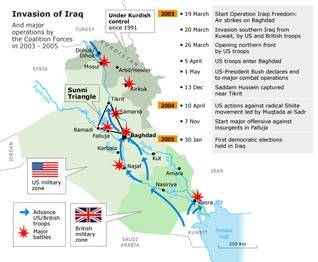 After the expiration of a formal ultimatum, the British and American strike force began their attack, Operation Iraqi Freedom, on 20 March 2003. The Iraqi armed forces were no more of a match for the overwhelming combined American and British forces than they were in 1991. 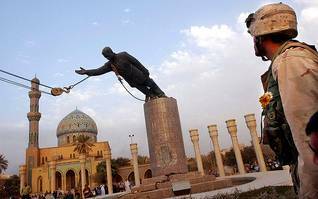 On April 9, less than three weeks after the beginning of the assault, Baghdad fell, and with it crumbled the regime of Saddam Hussein that had been feared by so many for so long. 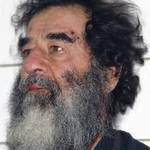 This was the long-awaited day of deliverance, especially for the Kurds and Shiite Arabs. They hoped for a redistribution of political power, in which the various population groups could finally claim their rightful share of the national government. Again, the traditionally dominant Sunni Arab population showed considerably less enthusiasm. The toll of this short war, officially declared over by President Bush on 1 May – was high: between 11,000 and 15,000 dead on the Iraqi side, including several thousand civilians, and 191 US and 31 British soldiers. 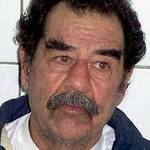 In the following months almost all of the leading figures of the regime, who had gone into hiding, were arrested, including Saddam Hussein, on 13 December 2003 (after a trial he and other top leaders of the regime were hanged; his sons Uday and Qusay had already been killed in a fire fight with Iraqi security forces).